STEINERT starts operation of the first industrial LIBS system for separating aluminium scrap alloys. STEINERT employees committed to „Rhine Clean Up“ - and tackle the ocean garbage. As a supplier of sorting equipment, Steinert participates worldwide at trade shows. Visit us on our stand. The power of progress and technical tradition can be felt in each and every one of our STEINERT solutions for magnetic and sensor-based sorting and separation. We offer the latest in technologies available to the mining and mineral processing industries, including our multi-sensor ore sorting solutions. 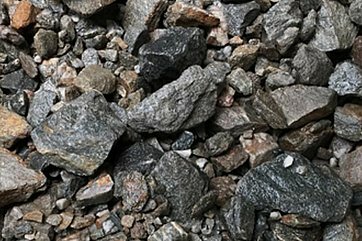 Our customers from the waste disposal and recycling management industry can experience the capabilities of our advanced resource recovery solutions – as they process valuable secondary and primary raw materials in their purest form. Your success is our greatest aspiration. In order for you to benefit from improved processes with added value, we work with you to find the most efficient use of our magnet separation technology and sensor sorting for lucrative management of raw materials. We are your experienced and innovative partner, providing advice, manufacturing and commissioning services. For over 125 years, the pioneering spirit and technical creativity of our family-run business have enabled us to continually set new standards. And with our global network, we are on hand around the world to ensure the success of our customers, as your partner for market-leading materials separation. Germany’s largest approved single site for recovering post-consumer packages has been successfully commissioned. 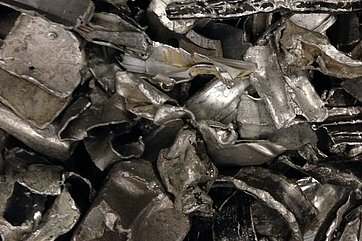 Strong magnets for improved recovery and separation of stainless steels in material recovery processes. Best practice @ Remondis. STEINERT shares its knowledge to the benefit of company groups at home and abroad. NEW: The STEINERT MSB HG rotary magnetiv belt separator is an enhancement of the tried and tested STEINERT MSB, which is focused on the application of specifically revocering stainless steel content from bulk materials. Use the STEINERT KSS (combination sorting system) as a platform for various sensors – for 3D, colour and induction recognition. As a fourth sensor for the system, we also offer near-infrared, x-ray transmission or x-ray fluorescence sensors. Market a product with assured quality. Cut combustion costs and return the structural material to the composting process. With our UniSort Black: for collecting all plastics – especially dark-coloured plastics – and material from green waste and composting products. 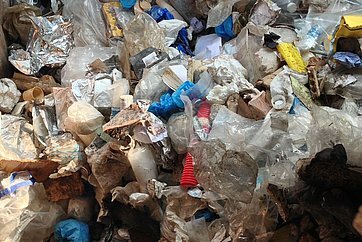 The most important tasks in sorting today include achieving a high yield and the purity of the sheet packaging materials, most of which are made from polyethylene. Process household waste to perfection with sensor-assisted technology and efficiently recover valuable materials. Our STEINERT EddyC® FINES non-ferrous metal separator for recovering incineration bottom ash from facilities that incinerate household waste for especially fine-grained materials in the range of 0.5-10 mm. 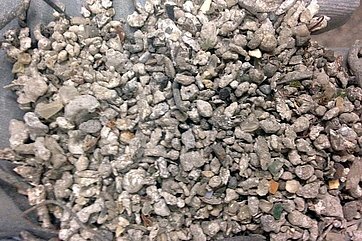 Most industrial minerals can be effectively separated from waste rock by means of sensor sorting.